The pro aurum company is a private trading house for precious metals and is one of the pioneers in the realm of physical precious metal trading outside the world of bank tellers' counters. 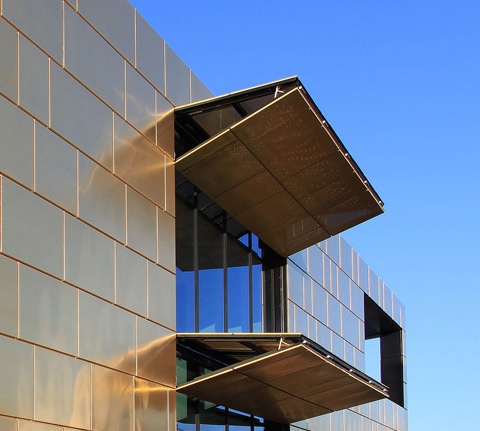 In 2008, the construction of a highly prestigious new company headquarters was tackled - at the same time, gold hit several all-time highs that year. The price of gold was higher than ever before: At the end of 2009, one ounce of gold cost just short of 800 euros. One ounce of gold, or 31 grams, less than a chocolate bar. 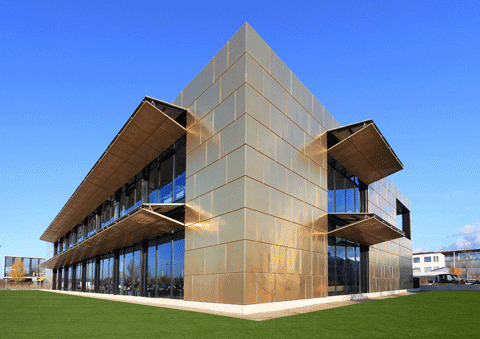 Locals refer to the office complex as the "Gold House", and it stands on the grounds of Munich's Trade-Fair Town in the Riem district. It measures 42 meters long, 24 meters wide and 8 meters high, and thus is an exact replica of the total volume of gold mined to date world-wide. 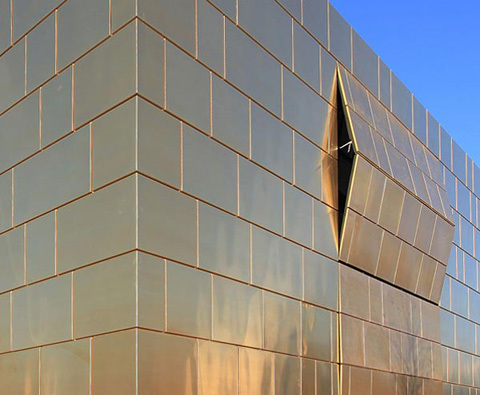 Which is why the architects in Rainer Freitag's office designed the Gold House to resemble a gold ingot. 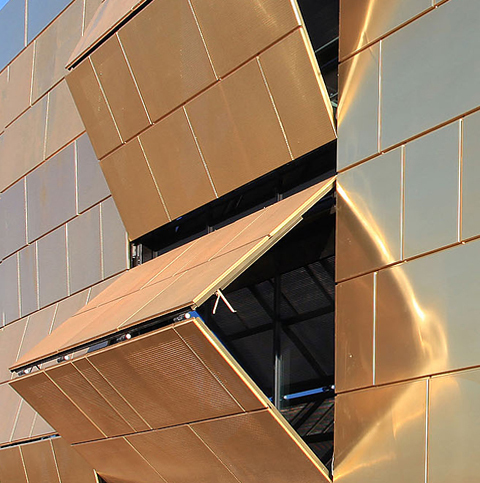 The skin of the façade is made of "Tecu Gold" shingles made by the KME company. 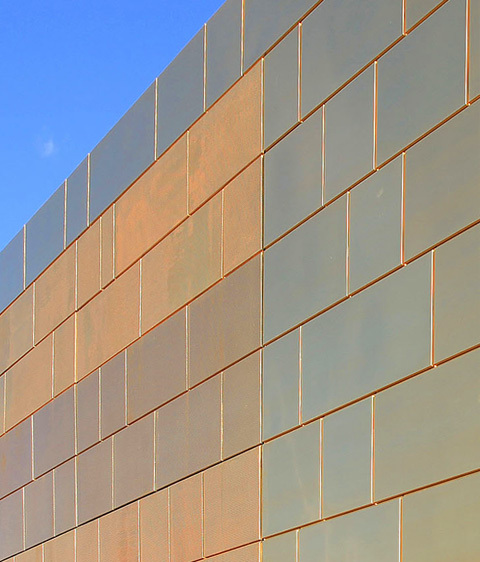 Standard "Tecu Gold" products are available in different types for construction projects, and are increasingly popular with architects and developers alike. Alongside the choice of materials and of basic footprint for the building, architect Rainer Freitag also designed the horizontal folding blinds and concertina gates in the façade to blend with the overall concept. Because they ensure that both screens and sun protection elements as well as the main entrance fold back flush with the façade structure. When closed, the complex thus completely locks out the outside world, like armor, and stands there like some out-sized gold bar. 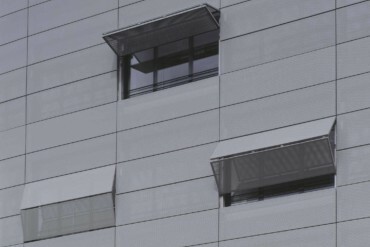 When the folding blinds are open, the block has a highly dynamic and flexible feel. 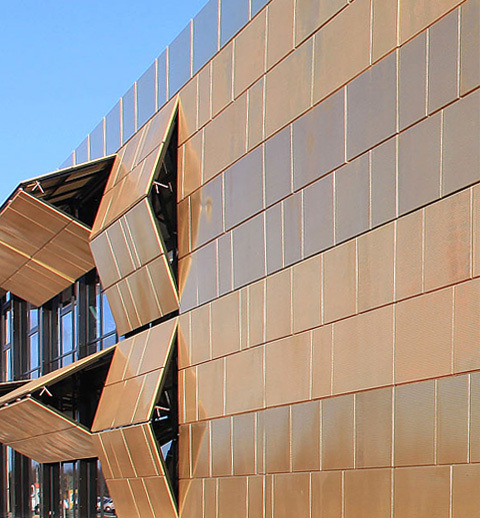 As with the project for a "mutable house", the folding blind system created by the Belu Tec company delivers an exciting and unexpected feature, a metamorphosing façade. Almost all materials and surfaces can be integrated into the folding blind systems, so it remains to be seen how architects will in future exploit this great potential.